Dutch Apple Pie - topped with a crunchy, buttery crumble top & packed with tart Granny Smith apples, cinnamon and cream - so good! Juicy apples and plums baked under the crunchy oaty crumble topping. 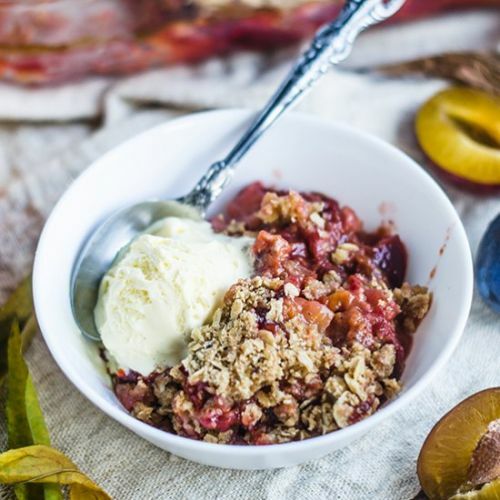 This apple and plum crumble is guaranteed to satisfy any appetite.